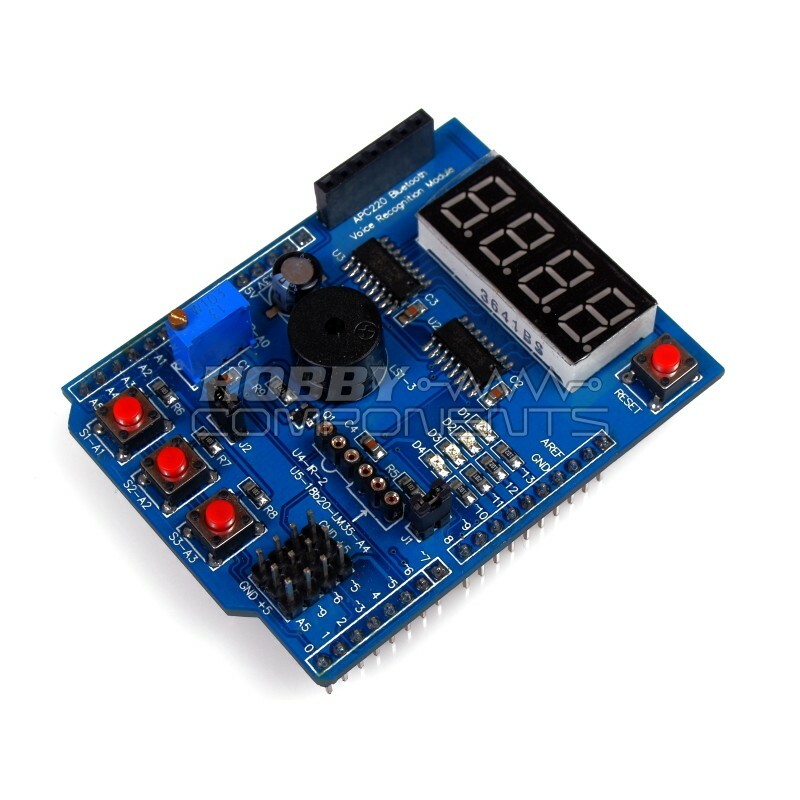 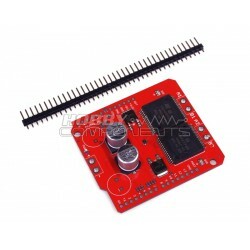 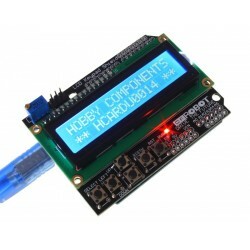 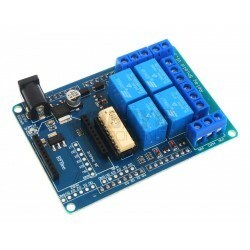 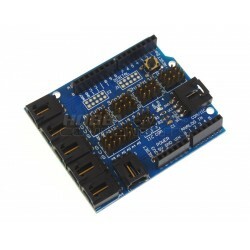 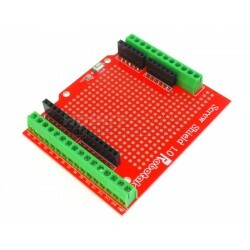 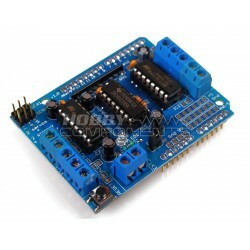 This Arduino Uno and Leonardo compatible multifunction experimenter shield (HCARDU0085) has a large range of features which makes it ideal for beginners who just want to experiment and learn, or just as a general purpose shield for more advanced uses. 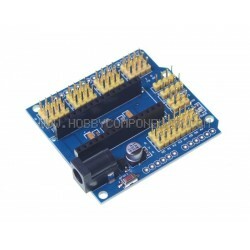 Besides the feature rich range of components fitted to the shield, there are also a range of expansion headers for convenient interfacing of external modules and components. 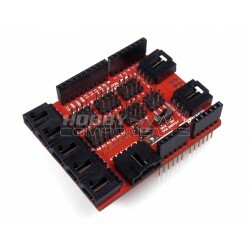 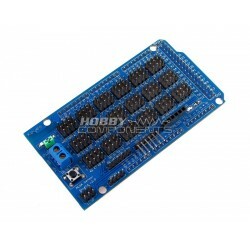 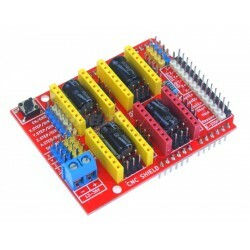 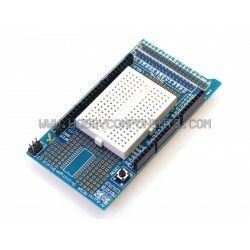 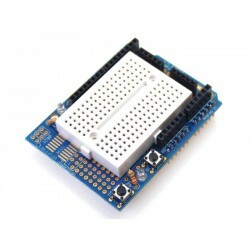 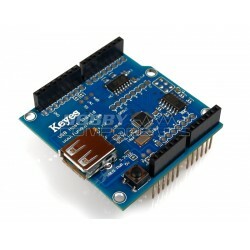 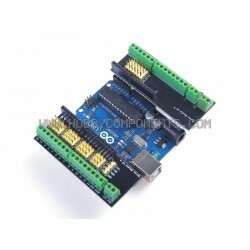 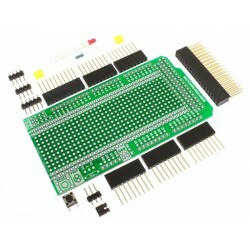 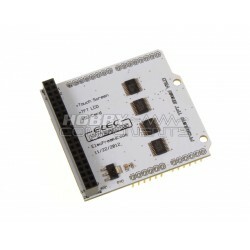 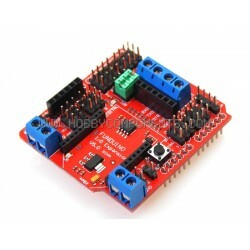 The shield includes R3 type headers for easy connection to your Arduino board. 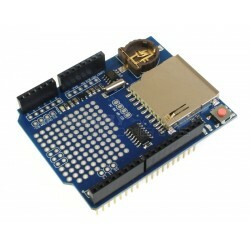 If you have a pre R3 design Arduino, please check for compatibility before purchase. 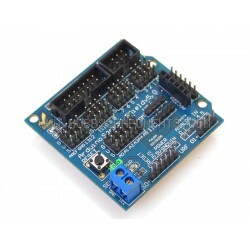 Please note: Before applying power to your Arduino board check that other than the header pins, no part of the underside of this shield is in contact with the host board. 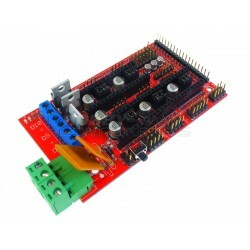 Example sketches and schematic available on our support forum here.